Our new studio acts as an extension of the busy streetscape, designed to maximise flexibility,. 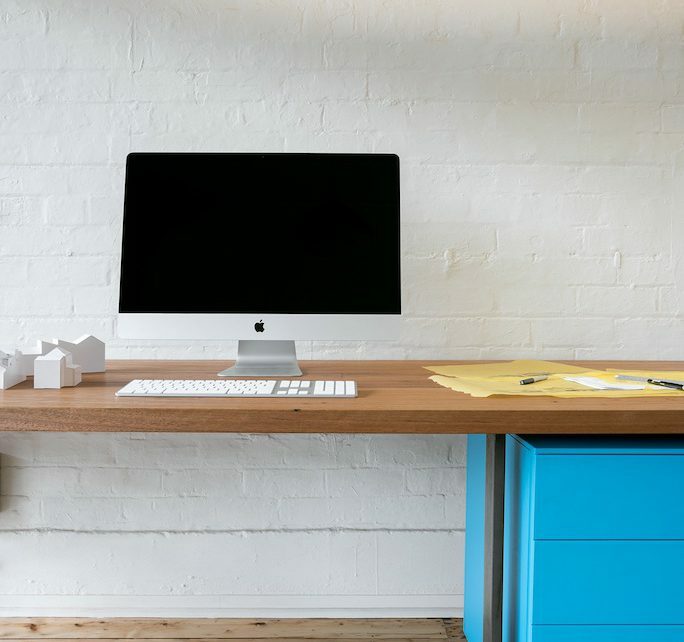 It enables the local community to see the inner workings of a happy design studio, while providing our team with a light-filled, healthy workspace. The project is a light-filled adaptation to an existing shopfront terrace. 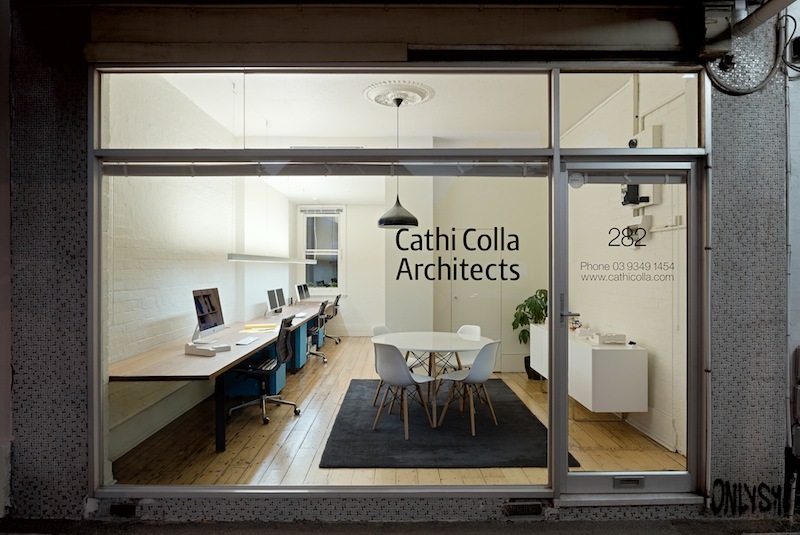 This studio renovation is a commercial fit out for Cathi Colla Architects’ own design practice. This studio renovation was a design challenge strictly bound by a tiny budget. Other restrictions include the extremely tight constraint of the existing available space plus a tiny construction time. This design was an opportunity to express the studio’s design ethos – that is a focusing on the creation of calm, beautiful and sustainable environments – whilst having a minimal impact on the building shell of our existing Victorian era shopfront terrace in Carlton North. Our project required rejuvenation of the lower level of a shared terrace into a flexible workspace for a small architecture firm. As a continuation of the CCA design philosophy, the intent of the design was to create a highly functional and harmonious space using some of our favourite ‘green’ materials such as reclaimed blackbutt (timber). We have minimised change by adapted the floors, walls and ceiling. 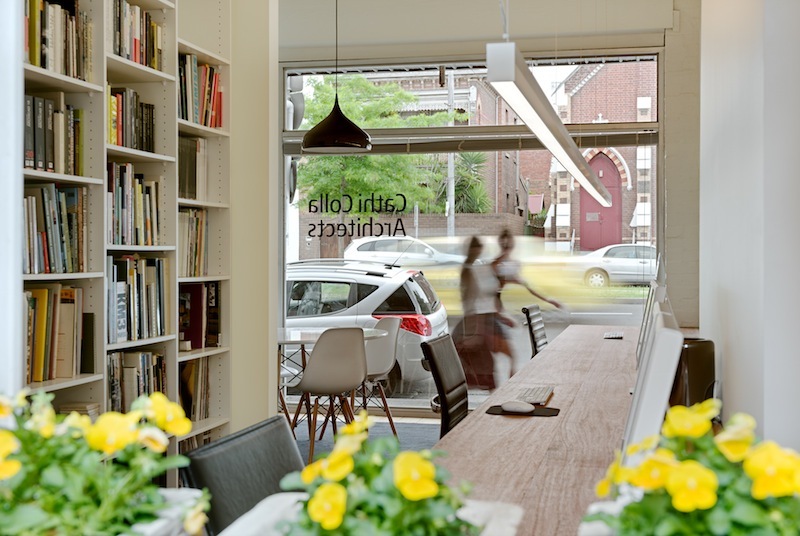 By maintaining the current floor-to-ceiling glazing the studio acts as an extension of the busy streetscape. It enables the public to see the inner workings of a happy design practice, whilst providing CCA with a light-filled, healthy workspace.